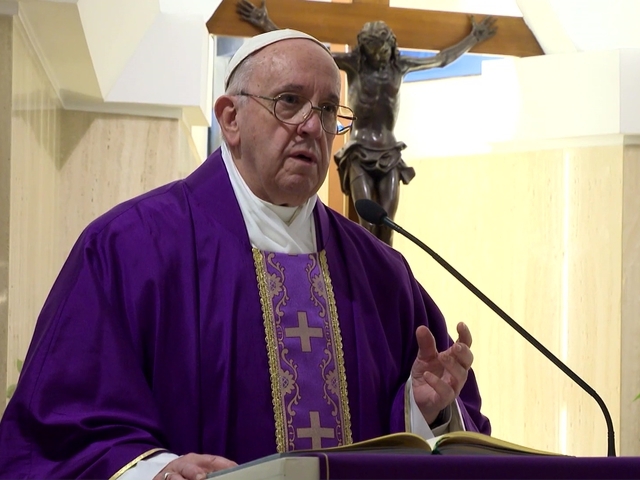 Pope in Santa Marta: Announcing Christ is not a "marketing campaign"
During his homily at Casa Santa Marta, the pope explained the duty to spread the word of Christ should not be confused with a complex advertising campaign. "What is announcing Christ? It is neither proselytizing, nor advertising, nor marketing. It goes beyond that. How can we understand this?" Pope Francis said a Catholic must understand that the best way to proclaim the Gospel is through the testimony of his or her own life. 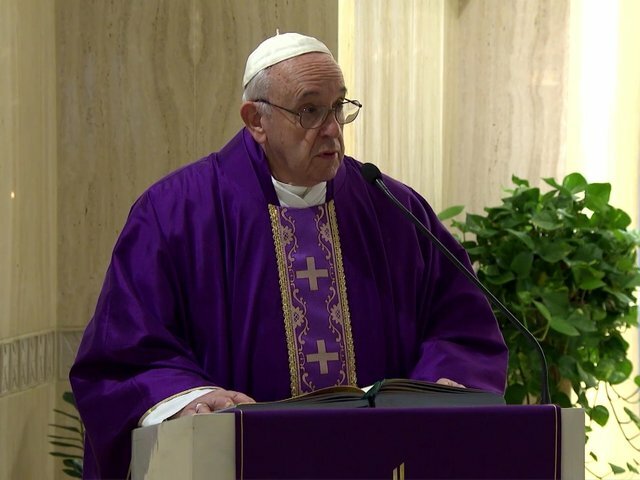 The Pope focused his reflection on announcing the Gospel urging believers to put aside “that attitude, that sin, that vice” that each of us has “within” in order to be “more coherent” and to be able to be credible in proclaiming Jesus with our own witness. 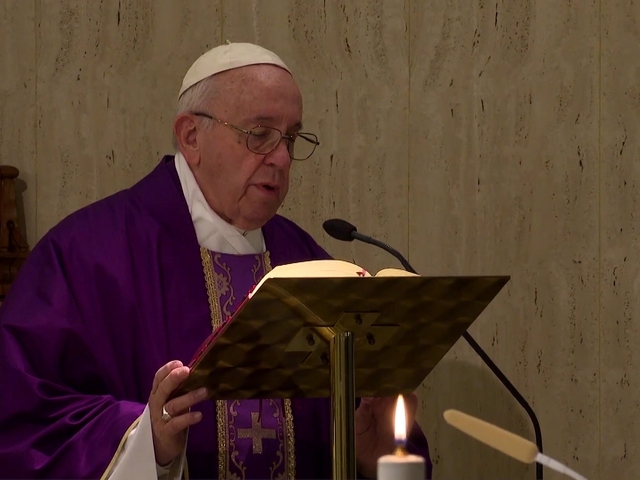 Taking his cue from the First Reading in which Saint Paul explains how faith comes from what is heard, and what is heard comes through the word of Christ, the Pope highlighted the importance of the proclamation of the Gospel,” the proclamation that Christ died and was resurrected to save us. To proclaim Jesus Christ, he said, is not just bringing “simple news” but “the only great Good News” he said. Announcing Christ, the Pope continued, is neither proselytism nor advertising nor marketing: it goes well beyond. 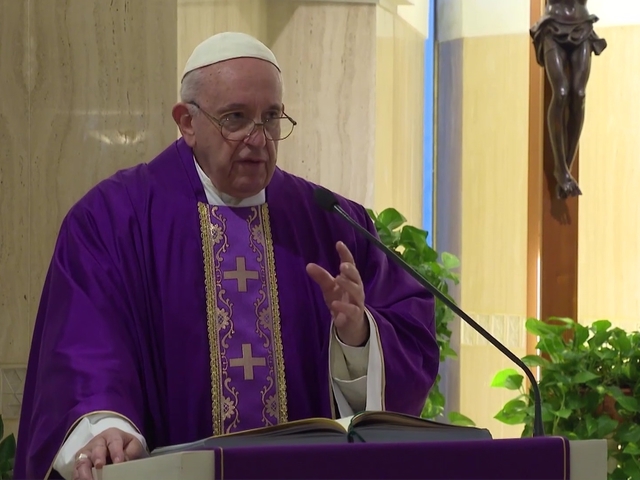 Thus, he reflected on the mission of the apostle who puts his own life on the line and he recalled an Argentinean saying that uses the image of “putting one’s own flesh on the grill:” that is, really putting oneself at stake. 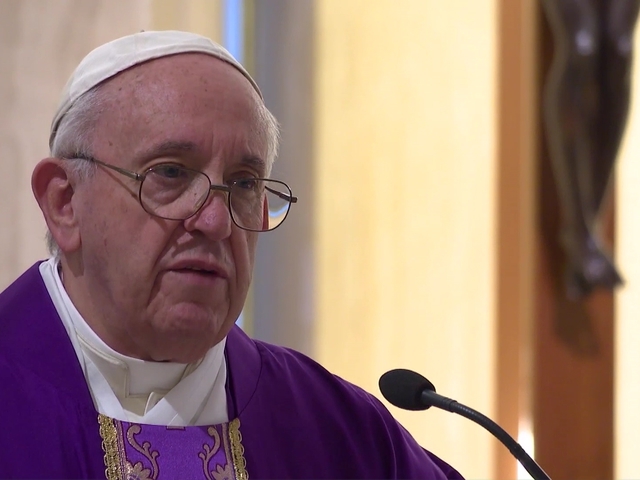 He specified that “this journey to announce the Gospel by putting my life on the line” is a one-way journey: “There is no return ticket” the Pope said, “turning back would be apostasy” while testimony means “putting one’s life on the line” and “doing what I say I do”. He called for coherence in life which is what gives credibility to witness and described those who “put their lives on the line to the end” as martyrs. He recalled how God the Father "to make himself known" sent "his Son in the flesh who gave his own life” and said this is fact that “continues to scandalize” because God became “one of us on a one-way journey”. He pointed out that the devil tried to convince Jesus to take another path, but He lived in accordance with the will of the Father until the end. The Pope upheld the witness of martyrs whom, he said, are those who show the proclamation is true. 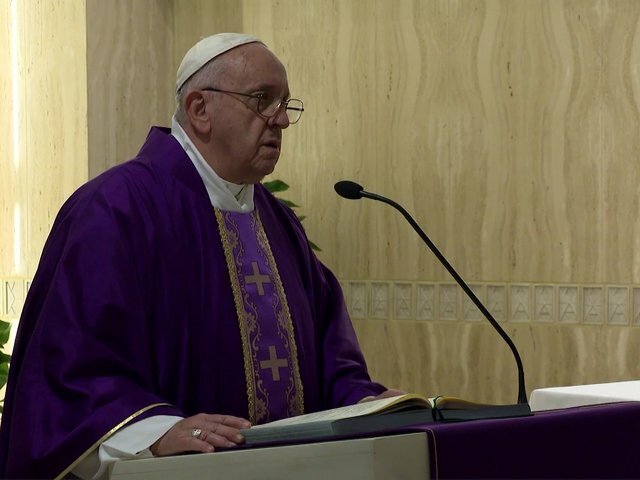 He spoke of men and women who have given their lives - the apostles gave their lives – but also of the many unseen men and women in our society and in our families, who bear witness every day, in silence, with their lives and their coherence to Jesus Christ.